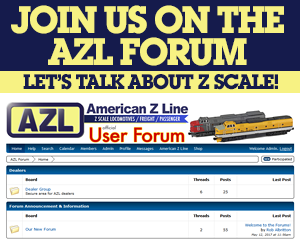 AZL chose a generic design often used. A widely popular freight car concept that lasted from WWI until well into the 1950s. Used by most railroads and found throughout North America. 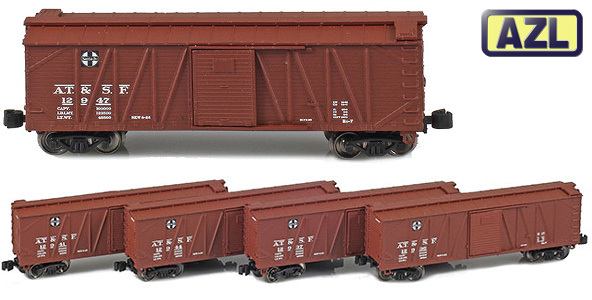 Depending on railroad, the box car has either Steel or Wood sliding doors. All box cars use our Archbar Truck and comes with metal stirrups. The 40´ Outside Braced Box Car is a great compliment to our Mikado, F-units, Heavyweights and 40´ PFE Reefers. And there will be other exiting products from AZL covering the steam and transition area. Our first run consists of cars from the following railroads with unique roadnumbers in parenthesis: ATSF (11), FRISCO (7), MILW (7), SP (11), CB&Q (11), PRR (7), NKP (7), READING (7), CP (11), ROCK ISLAND (7), NP (7) and D&RGW (11).